Through the use of hair thin acupuncture needles the acupuncturist is able to help the muscular system to achieve homeostasis: the regulated healthy state. By placing the needles in strategic locations, the body's own reflex action can aid the musculoskeletal system in healing by stimulating the stretch reflex in muscles, releasing trigger points, increasing range of motion and improving blood and lymphatic circulation. Whether caused by everyday work stress or sports injury, consistent stress upon the musculoskeletal system can impair the body's abilities to properly regulate itself, leading to nagging pains and injuries. With acupuncture therapy, the body's own natural healing capabilities are enhanced, allowing the body to recover more quickly. Is Acupuncture only good for when there's a problem? Can I come in if I'm not in pain? You absolutely can do acupuncture even if there is no apparent issue! From a day-to-day standpoint, acupuncture is a useful modality to keep the body and its natural physiological functions in optimal state. 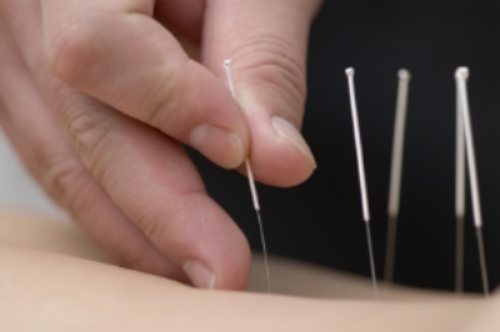 Athletes can use regular acupuncture as a natural performance enhancer. Imagine being able to train at a high intensity and being able to fully recover faster than your competitors. It is an all natural way to get an extra edge on your competition! More and more people are turning to acupuncture as an effective alternative healthcare modality. Today many professional athletes turn to acupuncture to help keep them in the game and performing at tip top shape! At Henry Lee Wellness we've treated everyone from weekend warriors to professional mixed martial arts athletes! Do I have to be an athlete to come to New England Orthopedic Acupuncture? No, we are more than happy to see any patient who feels they would benefit from acupuncture treatment! Contact us today!